1) What initial settings should I use for macro and wide-angle? Read the initial settings section. 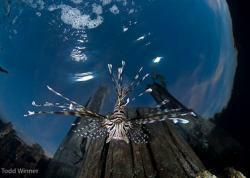 2) Do you have any tips for Underwater photography? 3) How do I shoot supermacro photography? Read the underwater supermacro section. 4) Which wide-angle lens is better underawter, a Tokina 10-17mm fisheye or a rectilinear lens such as a Nikon 12-24mm or a canon 10-22mm? Neither is better, they have different purposes. For more people I recommend using the Tokina 10-17mm fisheye, which is great for reef shots and close-focus wide-angle shots. This lens can focus very close. Read more about fisheye lenses and wide-angle lenses. 5) Which macro lens is better, a 60mm macro or 100/105mm macro lens? Neither is better, they have different angles of view, and different working distances, and are used for different types of shots. 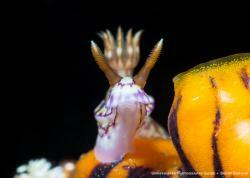 Read my article on underwater macro lenses. 6) Which housing should I use? Most of the underwater camera housings out there are very good, you need to look at your budget, what your friends are using, and what is supported in your area. If possible, get to a UW camera store to try some out. Read more about underwater housings. 7) Can I use my 18-135mm or 18-200mm zoom underwater? Not really, long zoom lenses are not easily used underwater. Your port will end up being too large, the lens may vignette at the wide end, and performance will probably be poor due to dome port optics. 17-70mm or 18-70mm is generally the largest zoom range used underwater. Read about the best underwater lenses. 8) How do you get a black background in your underwater photos? Read the black background section. 9) Do you have any tips for how I can improve my photography? Read the section Improving your UW photography, and also read over 60 underwater photography tips. Submitted by s90 (not verified) on Tue, 2012-08-21 01:24. I'm using the S90 with the canon housing, no strobe. I typically use the underwater setting and cycle between video and stills. I am trying to get crisper photos and less blue. I've read numerous posts but typically end up confused. So I'm looking for a simple way to get better photos, but still be able to take video. Is this even possible? I have read manually setting WB can be the key, but if I set WB in video, do I have to also set it in still, and if I switch between the two will I have to reset each time? Finally, can I just use a white dive slate for WB or do I need a special card? Submitted by w8less (not verified) on Fri, 2011-09-30 17:13. I shoot an Oly SP350 with Inon UFL165AD wet lens. I have been shooting in auto focus mode and have missed a few due to shutter lag. I want to shoot in manual focus to eliminate this problem but am confused as to what focal distance to preset on the camera? ?